Yun Gee’s art teacher and life-long friend. 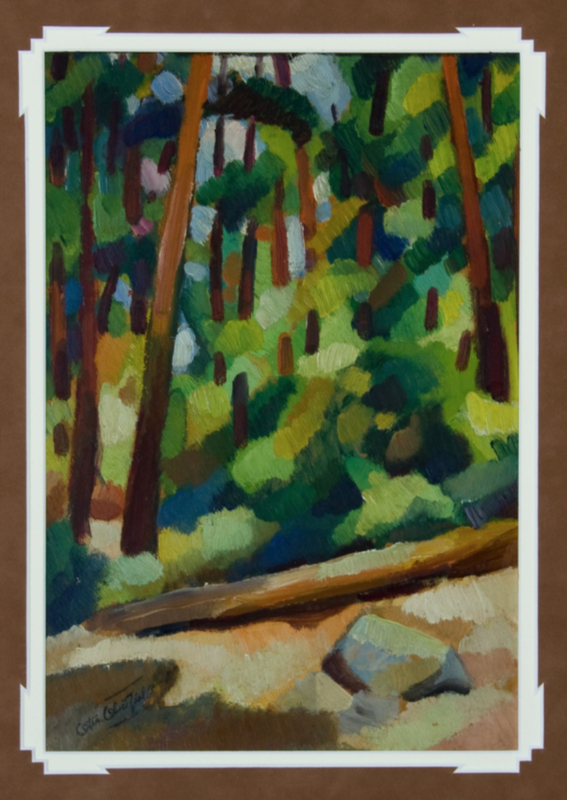 Yun Gee studied painting with Oldfield when he began teaching at the California School of Fine Arts for the spring term in January 1926. 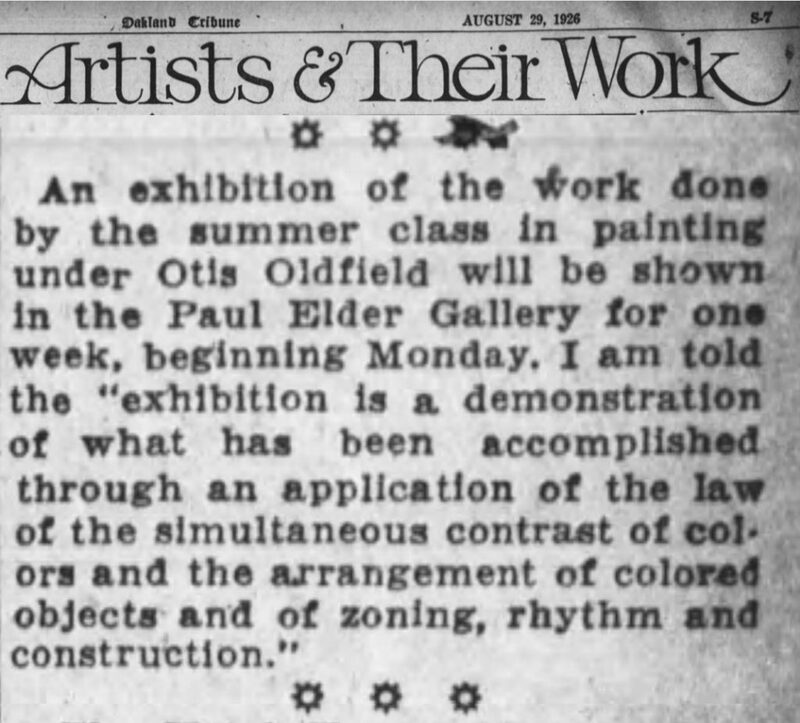 In particular, Yun Gee was enthusiastic about Oldfield’s technique of color zones and flat crayons. 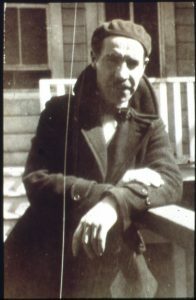 With Oldfield and other artist friends, Yun Gee co-founded the Modern Art Gallery on 718 Montgomery Street in 1926 to advocate avant-garde theories and styles. 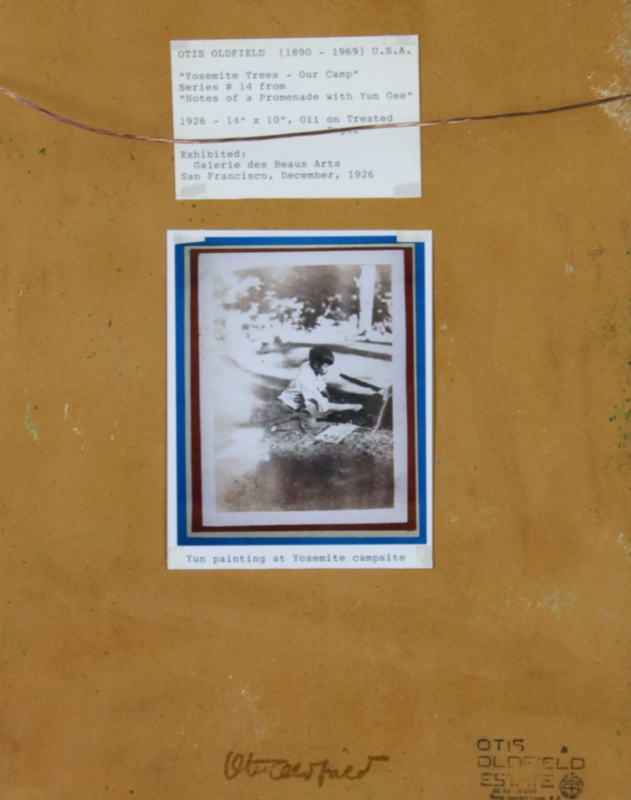 Yun Gee also did paintings at Oldfield’s studio at “Monkey Block”, located at 628 Montgomery Street. 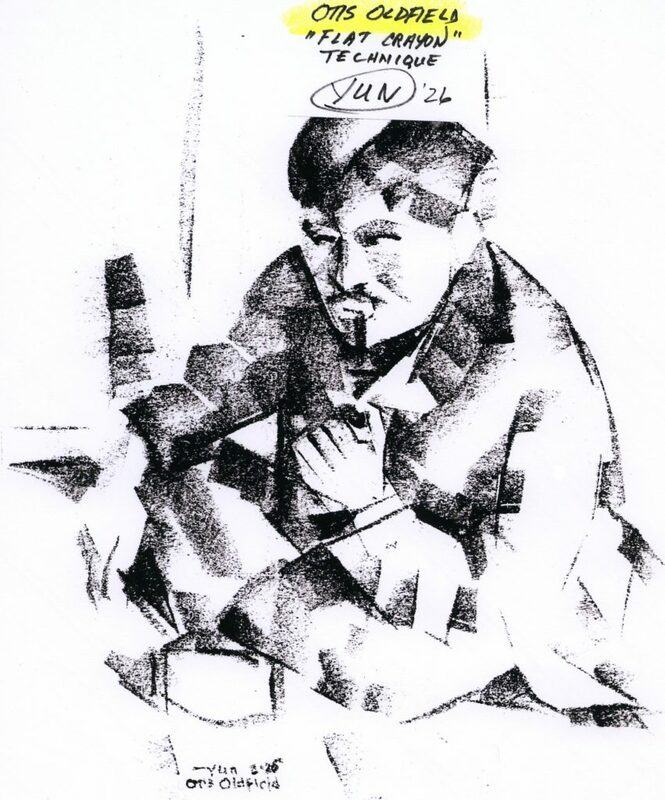 Yun Gee did four portraits of Otis Oldfield, three paintings and one drawing, all dated in 1926. 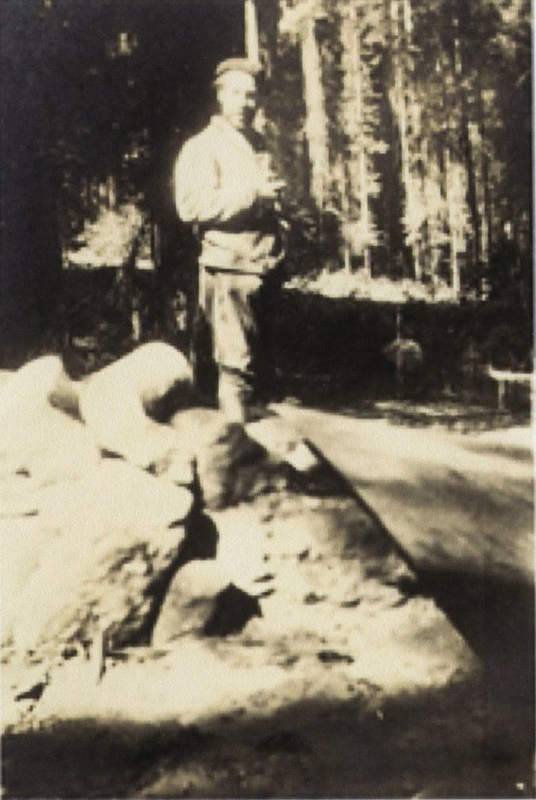 Yun Gee and Oldfield had a camping trip from July 17th to August 9th, 1926. Otis Oldfield became Yun Gee’s lifelong mentor and friend. 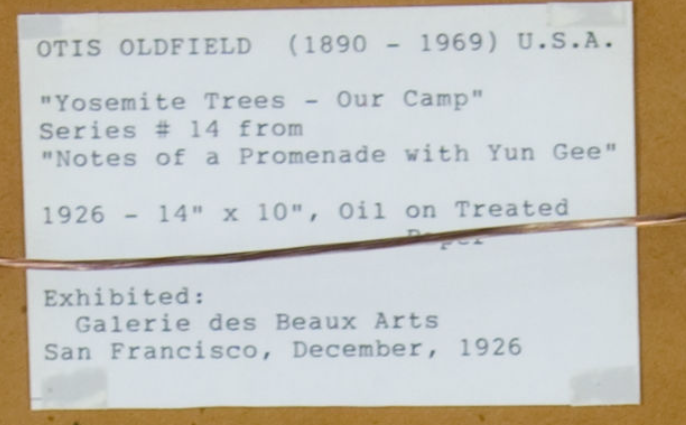 Correspondences between Yun Gee and Otis Oldfield from 1927 to 1961 are kept in Yun Gee Archives, New York and Otis Oldfield Archives, California. 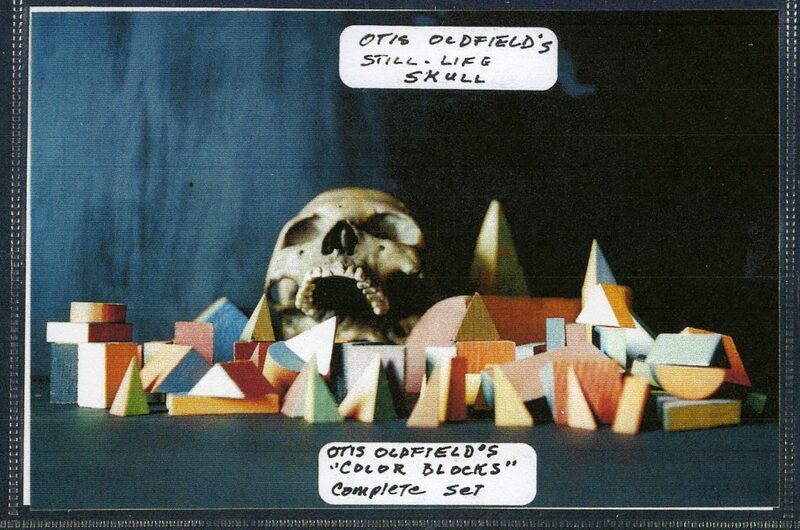 It is impossible to write about Otis Oldfield without renewed emphasis on his teaching career. 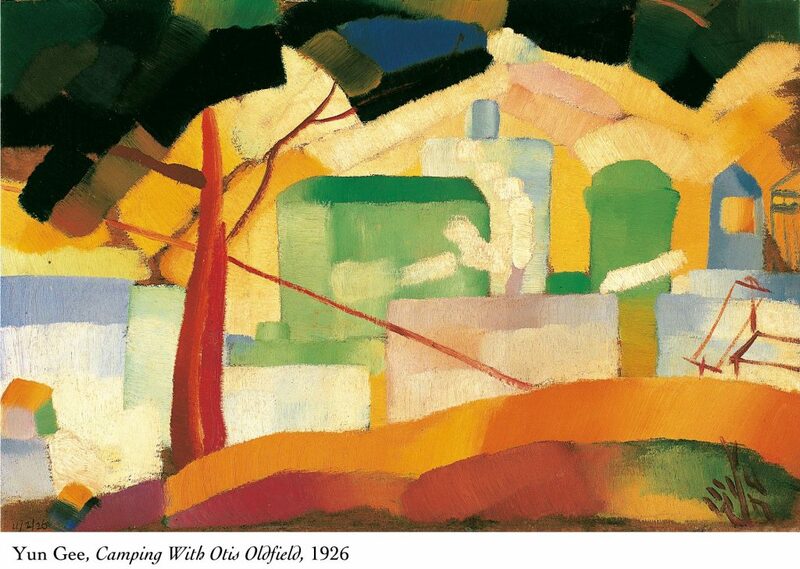 He was as ardent about teaching as he was about painting, perceiving each as an independent creative endeavor. Regrettably the stifling bureaucracies and strictures of art school administrations left him frustrated and stymied. 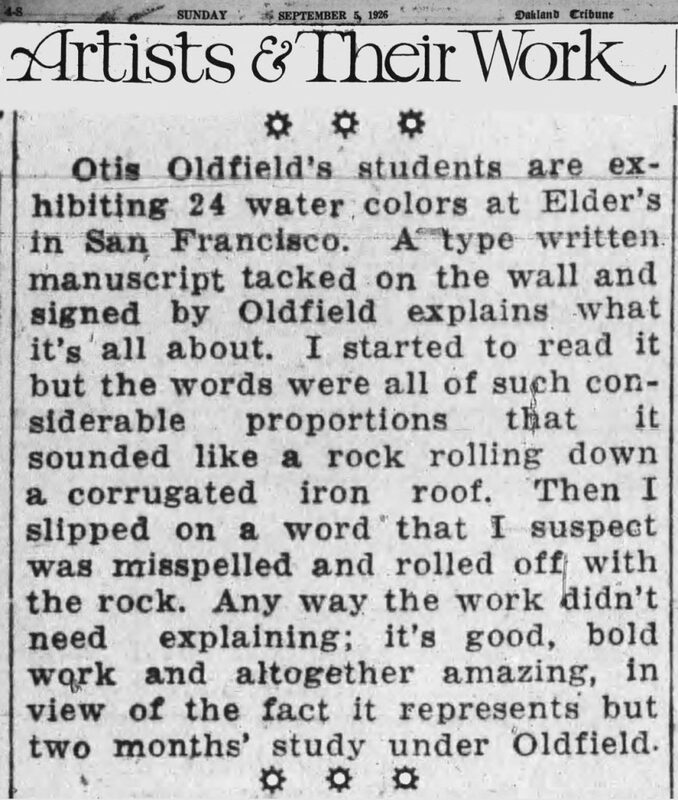 As mentioned, by 1942 Oldfield’s painting style and teaching methods were considered obsolete. Non-objective art produced by young artists who had come out of an even more brutal and alienating world war than he had known in Europe completely dominated the painting department at CSFA. This was true of painting departments across the country. His seventeen year tenure at CSFA had been positive and fulfilling overall. He had survived his final disappointment there to gain a second academic career at CCAC. At the conclusion of his formal teaching career in 1952, he moved forward with his long standing practice of giving private lessons. But previously, it was Oldfield’s good fortune to teach a number of students who went on to make very considerable marks in the world. Quite early in his academic career he mentored a young immigrant from China named Yun Gee (1906-1963). 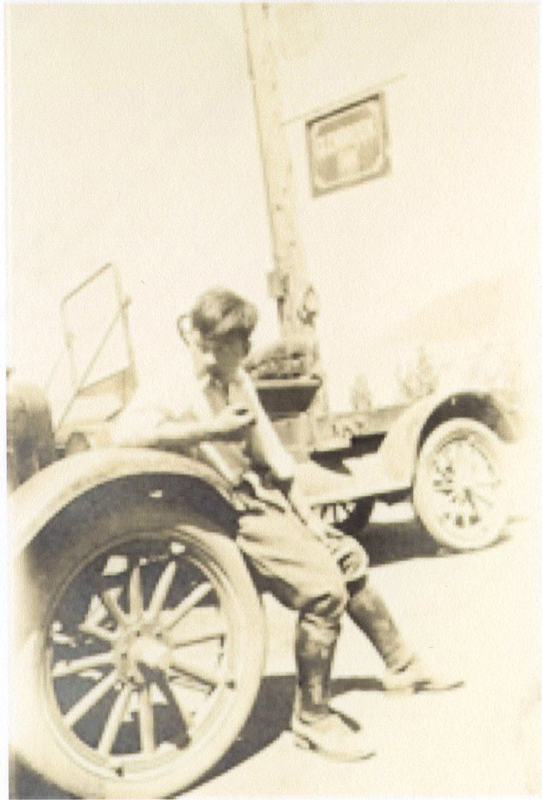 The teenaged artist disembarked in San Francisco in 1921, a time of intense anti-Chinese sentiment. The 1882 Chinese Exclusion Act was in full force and would not be repealed until nearly 1944. The upcoming 1924 Immigration Act was designed to exclude Chinese in particular from immigrating to America. 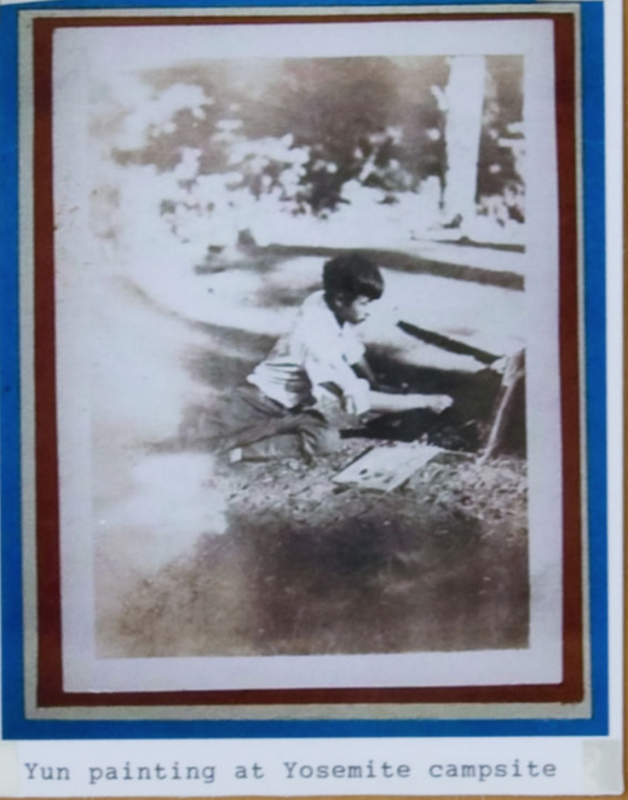 Upon arrival, Yun roomed with his father, an earlier immigrant, in the old and densely populated neighborhood of Chinatown – a place of relative safety for them. When Yun wavered in his decision to follow an artist’s career path, Oldfield buoyed him up and encouraged him to continue. In 1926 while under Oldfield’s tutelage at CSFA, the twenty year old Yun founded the provocatively names Chinese Revolutionary Artists Club. The Club was short lived but was all the more remarkable in that the gifted young artist organized it in an openly hostile environment. 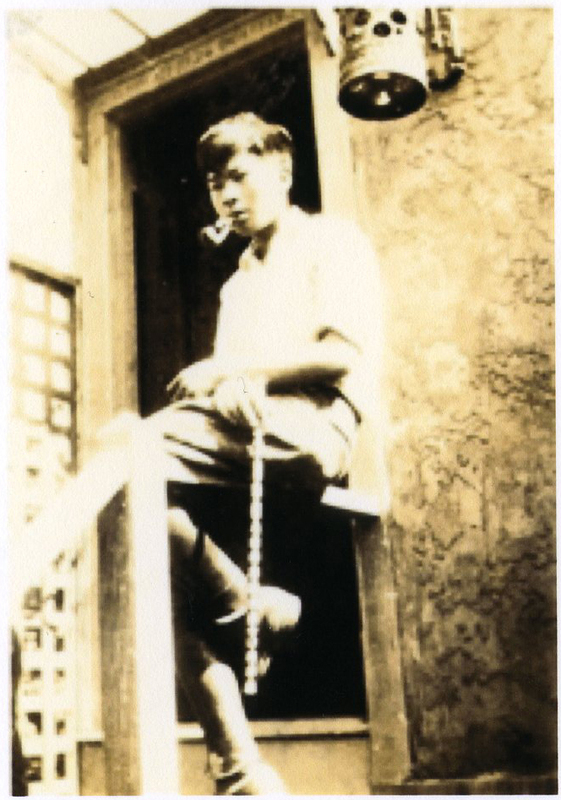 Tat same year, Yun and other like minded artists and students founded the Modern Gallery. 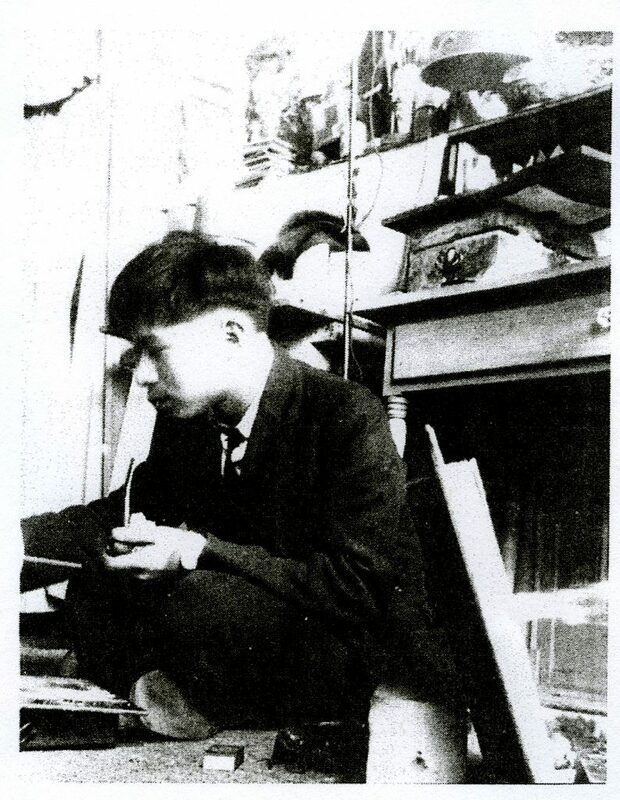 As Oldfield, on of the professional sponsors, explained, it was “for the benefit of the younger artists who prior to this were absolutely devoid of any contact with the public except through the annuals at the art school which was quite insufficient.” Directly influenced by Oldfield, by the end of 1926 Yun was pursuing further studies in Paris where he encountered a much less judgmental atmosphere. There he was honored by important solo exhibits and he fell in love with and married a Russian princess. 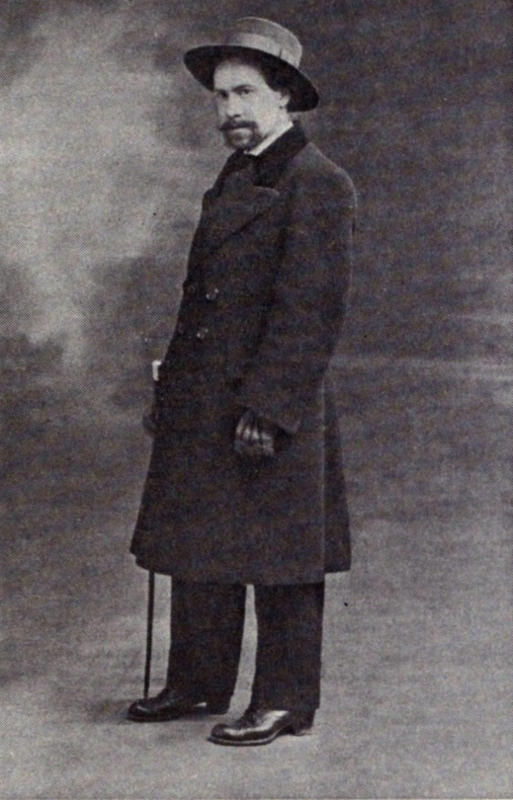 When funds prevented Yun from remaining in Paris to advance his career, he moved to New York where again racial prejudice plagued him. Recently his work is selling at auction for astronomical amounts. 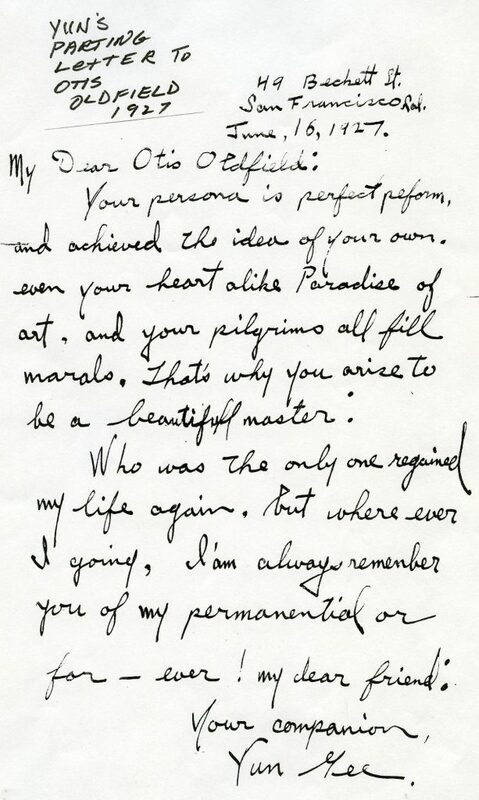 He is known for his portraits, including several of his idol Otis Oldfield, whom he referred to as Maestro. While in the city, he painted San Francisco’s Chinatown as well as many street scenes and landscapes of places both real and imaginary. Yun Gee’s painting done at the same time as Oldfield’s above.